Originally published in Creation 18, no 3 (June 1996): 6. Why? Because your belly-button (navel), or tummy-button as it's sometimes called, is a sign that you were once attached to your mother. You depended on that life-line — the umbilical cord — for your nourishment from her body as you developed inside her. God would not have planted on them a false indication that they had developed in a mother's womb. When God created Adam and Eve in mature form, the day they were created they might have appeared to be, say, 30 years old. But God wouldn't want or need to create the appearance of a false history, any more than the mature trees created by God would have had growth rings initially. Those are things which would develop in their offspring as a result of processes later on. What's more, this would be a tremendous testimony to God's creativity. 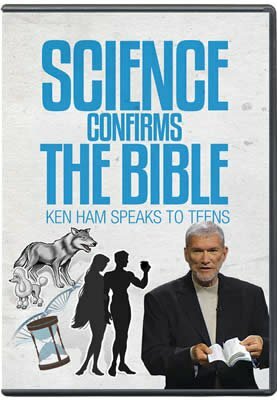 Ken Ham once put it this way: Lack of a belly-button on Adam and Eve would be one of the biggest tourist attractions in the pre-Flood world, as the grandchildren and the great-grandchildren would come up and say, 'Why don't you have a belly-button?' And they could recount again and again, to generation after generation, how God had created them special by completed supernatural acts, and yet had designed them to multiply and fill the earth in natural ways that are equally a part of God's continuing care for what He created.